Homemade iced tea is an essential skinny fridge staple in my house. High in anti-oxidants, calorie-free, and totally refreshing, I sip it when I am when I’m chillin at the pool or cook at a hot stove. The secret to the best iced tea? Start with super-flavorful tea leaves and ingredients. Nothing against those old dusty black tea bags that you get at the diner, but they’re not going to infuse flavor into an unsweetened iced tea. Red bush tea is my all-time favorite tea because it has a mellow yet rich flavor, a golden red color, and is naturally caffeine-free. Red bush – or Rooibos in Afrikaans – tea comes from the leaves of a bush that grows in southern Africa and like many teas has valuable antioxidants such as aspalathin and nothofagin. Red bush also contains soothing compounds that work as an antispasmodic; people who have chronic stomach problems and cramps swear by it. Red bush comes in gourmet flavors that are naturally sweet in flavor (without any sugar or fat) — that retain their intense flavor even when chilled, like Chai Redbush, and strawberry dream. Looking for more incredibly unique flavors? 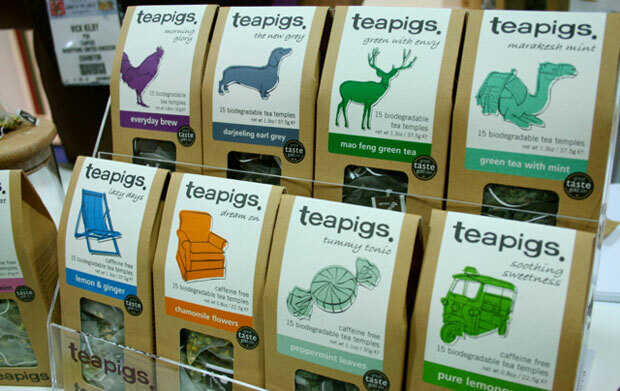 A brand new company called Tea Pigs has come out with a line of all-natural teas that are made from pure ingredients like mint, licorice, and tea leaves. 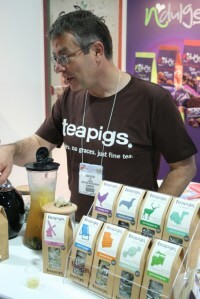 Tea Pigs tea was started by two tea connoisseurs – Nick and Louise – who have made it their mission to help evolve tea drinking as a modern art, something fun and to be enjoyed by everyone. Something I definitely support! I adore their licorice peppermint tea, divine hot or iced!